4x4 carts at Froggies on Da Beach, Blue Hills, Providenciales. 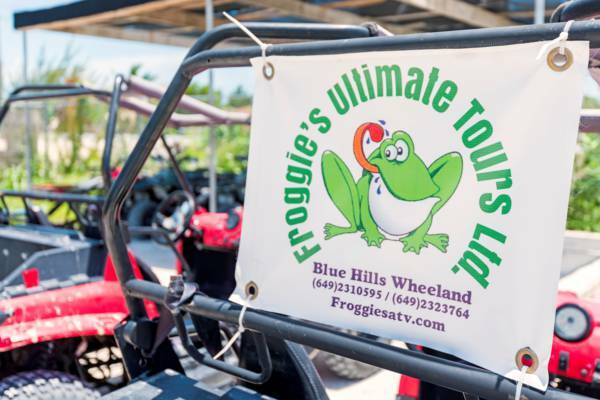 Found on the far western end of the beachfront settlement of Blue Hills, Froggies offers guided ATV and 4x4 cart tours of the remote western wilds of Providenciales. Excursions to Northwest Point and Malcolm Roads Beach available.